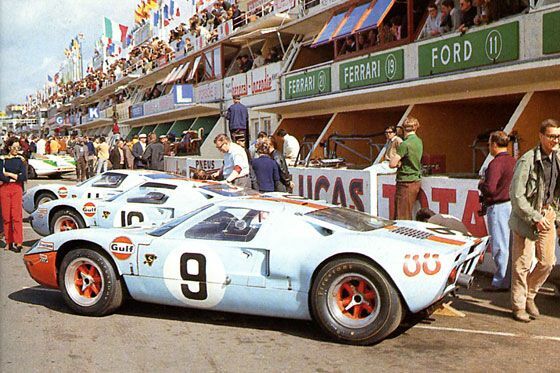 If the 1960’s Le Mans had a signature look, it is this sky blue Ford GT40 Mk. I. The dark red front, and stripe across the car is an amazing look, and add a great number design, and iconic Gulf logos, and some cool looking horseshoes, and you have a look that will transcend the race, and is ingrained in the minds of vintage car lovers everywhere. This look can’t get anything lower than an A.